This reading group guide for The Seasons of My Mother includes an introduction, discussion questions, and ideas for enhancing your book club. The suggested questions are intended to help your reading group find new and interesting angles and topics for your discussion. We hope that these ideas will enrich your conversation and increase your enjoyment of the book. Using the philosophy of ikebana as her starting point, Marcia intertwines the seasons of her mother’s life with her own journey from precocious young girl to budding artist in New York City to Academy Award–winning actress. With a razor-sharp wit, as well as the kind of emotional honesty that has made her performances resonate with audiences worldwide, Marcia captures the joys and losses of life even as her precious mother gracefully strives to maintain her identity while coming to grips with Alzheimer’s disease. 1. How does Marcia describe Beverly to us in the prologue? What is Marcia setting out to do in writing their story? 2. 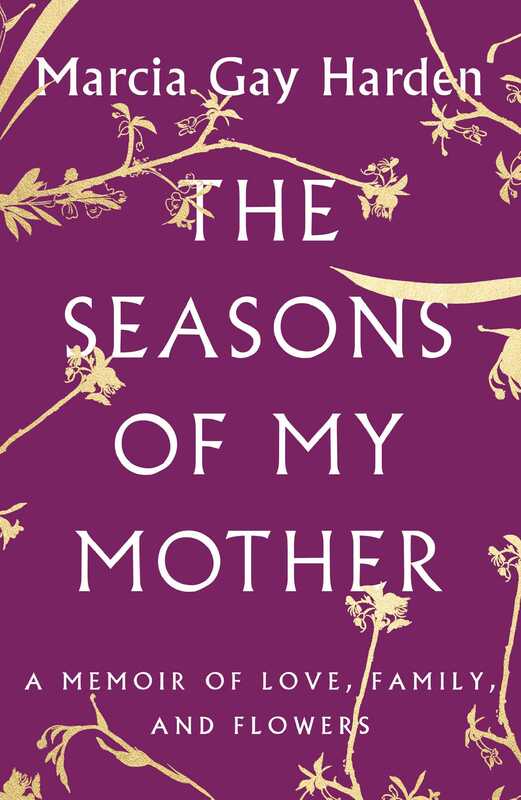 This memoir uses seasons and metaphors as its structure and Marcia often invokes the principles of ikebana, which her mother learned and taught to others. Why do you think Marcia organizes the narrative in this way? How does this structure influence your reading? What is Beverly’s Flower Path? 3. Describe how the author writes about memories of her childhood. In what ways do her memories stand out to you? How does Marcia’s child voice differ from her adult self’s voice? 4. What is it like to be the children of a US Navy lieutenant? How are things different at home when Marcia’s father, Thad, is away at sea? 5. When the Hardens travel to Japan, what transformation does Marcia witness in Beverly? 6. In her description of her father, Marcia writes: “There was enough darkness in his head” (page 57). Where did this “darkness” come from? Did it go away? How? 7. Marcia attends the Bon Odori festival as a young girl, which changes her “sense of self forever” (page 63). What does she mean by that? What happens at the festival? 8. “Friendships that meant everything one day could be entirely vanished the next” (page 71). While Marcia is living in Maryland as a child, what happens to her friendship with the other girls? How does her mother react after she picks up Marcia from the principal’s office? Are you surprised by her reaction? 9. Where do Marcia’s roots in acting come from? 10. When Beverly visits Marcia again in New York City, they climb the stairs to Marcia’s apartment rooftop and “[gaze] up at the stars, at this same sky” (page 94). What are they looking for? Do they find it? How does this scene make you feel? 11. Discuss Marcia’s trip to New Zealand with Beverly. What are Marcia’s initial plans and expectations for the trip? What is the “subtle difference” (page 110) that Marcia senses in her and her mother’s relationship? 11. Why do you think Marcia writes about Giselle’s recovery from the Potomac River? How are Giselle and Beverly’s “roles” somewhat reversed? 12. When does Marcia realize that Beverly’s memory issues are serious? What is her initial reaction? What steps does she take to address her mother’s Alzheimer’s diagnosis? 13. When Marcia’s parents congratulate her on being nominated for an Academy Award for Best Supporting Actress in the film Pollock, why is Marcia hesitant to accept their congratulations? What are her thoughts about the nomination? 14. Marcia writes about the night she attended the Oscars and won the Academy Award for Best Supporting Actress. What is it like for her and her parents to be at this event? How does this scene make you feel? What are Marcia’s final thoughts on “deserving” an award? 15. In the epilogue, Marcia says that her mother’s legacy “cannot be Alzheimer’s” (page 314). Instead, how does Marcia choose to describe Beverly’s true legacy? 1. Marcia uses several metaphors to describe Alzheimer’s disease throughout the book, like “vines” (page 184) and “a robber” or “a stealthy thief” (266). How effective are these metaphors? Do you have your own metaphor for this disease? 2. Consider enrolling in a local ikebana class to learn more about this ancient Japanese art form. 3. Marcia incorporates the lyrics of Sarah Vaughan’s standard, “Everything Must Change” into the epilogue. Listen to the song. Why do you think Marcia chose this song? How do the song and the lyrics make you feel? 4. To learn more about Alzheimer’s, or donate to Alzheimer’s research, visit the Alzheimer’s Association at www.alz.org.